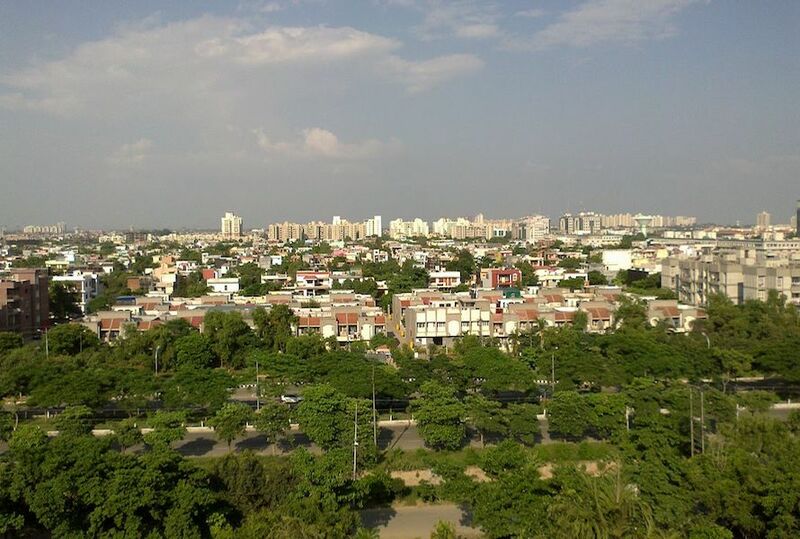 When you think of some of the best-planned cities in India, the name of Chandigarh and Greater Noida generally feature in any list. With fantastic wide roads and well-planned sectors, Greater Noida is a wonderful city to stay in if you like peaceful and quaint lifestyle. The fact that it is in the National Capital Region or NCR, means it is well connected to the Capital City of India, New Delhi and therefore you are never too far away. As one of the modern new cities of India, doesn't Greater Noida deserve a modern source of power? What's more is that this transition can be extremely beneficial for you financially. Let's take an example. A household in Greater Noida on an average spends about Rs 7500 on the electricity bill. This amounts to spending close to Rs 90,000 on just electricity bill annually. But what if you could trim this down substantially and also ensure that your environment and surroundings are kept gorgeous green and clean? Going solar can help you not just trim your electricity bill by a lot but also prove to be an intelligent investment in the long run. Today, you can expect about 6.5% return on your investment from FDs while market being volatile can give you about 12-13% return on a good day. But going solar can be far more beneficial. We ran past this case the MYSUN Solar Calculator, which instantly gives you your savings potential as well as the solar system and financial details, and concluded that going solar makes fantastic financial sense. With a monthly bill of Rs 7,500, if you opt with Net Metering, your electricity bill monthly will come down to just Rs 988. This would ensure that you make a lifetime savings of Rs 20.2 Lakh and get a Return on your Investment of 20.8% per annum. That's a lot of savings and almost triple the RoI than what banks promise. Since a Rooftop solar system will accompany you for 25 years, it is imperative that you invest in the right one. With MYSUN, you can be rest assured of a top of the line service as well as best in the market solar equipment. It is also quite interesting to note that the first city that MYSUN started operation in was Greater Noida and therefore we know the city like the back of our hands. Each rooftop is unique and therefore has to be treated differently and that is where our team of highly experienced Solar Advisors will add immeasurable value. With an advanced site survey, not only will you be offered the best and most optimum solution for your rooftop but also have a Flexible Payment scheme that you could avail. Under Flexi-Pay, you can own your solar system at Zero Downpayment and Zero Interest. You can also view the Rooftop Solar policy for Greater Noida on our website here. So, start your savings journey today and if you are looking for a solar company in Greater Noida, simply pick up your phone and give us a call on 9873167009. You could also E-Mail us on [email protected] We look forward to meeting you in Greater Noida. We have land and want to get setup solar plant. Thanks Abhinav for writing in. Our Customer Delight team will be in touch with you. Your message has been conveyed and you can expect a call shortly. I want a solar system who operate a 190 LTR fridge ,2led 32 inch TV ,9 watt LED 5 bulbs ,3 48’ciling fan ,and 1adjust fan.. Thank you for your interest in going solar with MYSUN. Our team is in touch with you over E-mail. What is the approx estimate for above . Thanks Amit for your query.